How I’m Using Github to Plan for a Puppy. It’s been a while since I paid any real attention to Github, my private projects are all hosted on Bitbucket since it’s free. Also because Github’s little activity feed is annoying. I don’t need to know that someone starred a ton of repos for all eternity. Let me clear them like notifications! Now that I have that out of the way I recently returned to Github and noticed several changes. First the top bar is now dark gray which is actually really nice, I like that change. The second thing I noticed is that repos and organizations now have a Projects tab; ok cool kanban-style boards, I’ve never used them before, but I’ve heard good things. The final new thing I found was pinned repos which is pretty cool, if I go to an organization I’ll see the most frequently needed repos first even if they haven’t been updated recently. All of these things are nice changes or additions, I’ve had a chance to use both the kanban boards and pinned repos and I like them both. I was told there was a puppy involved. Right, sorry on to to the puppy. I’m planning on finding a responsible breeder to purchase a male Golden Retriever puppy from. 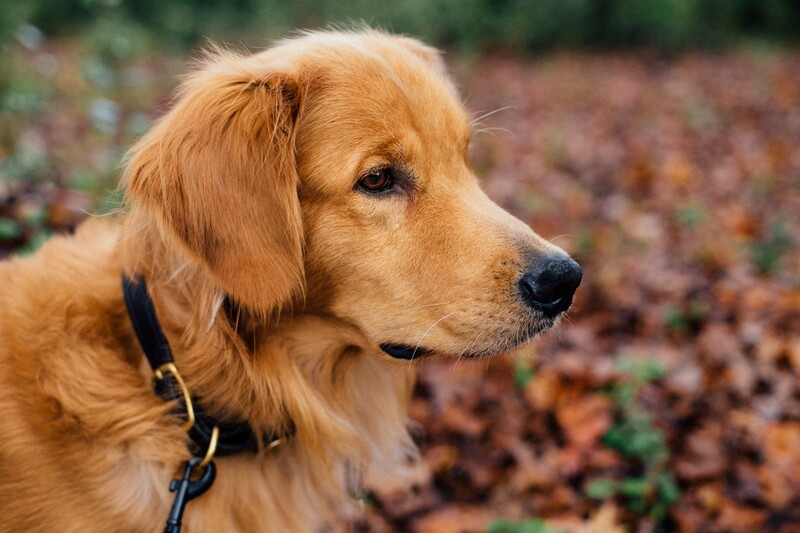 I fell in love with the temperament, goofiness, and ability to work of Golden Retrievers. They make excellent family dogs as well as service and working dogs. I’ve been planning on getting a dog almost since the day my brother brought home his dog in 2015, Maisie is an American Staffordshire Terrier and American Bulldog mix that he adopted from the same humane society I adopted my third cat from. I never really planned on owning a dog, but between Maisie and my roommate at the times dog I realized I want a dog in my life. This year I’m finally in a place where I am ready to do just that. Responsible breeders are breeding to better their breed, however puppy mills and backyard breeders are finding ways to pass themselves off as more responsible than they actual are. I want to avoid purchasing from anyone other than a responsible breeder so I need to define some requirements that I expect a responsible breeder to have. These requirements include all of the health tests as recommended by the Golden Retriever Club of America, dogs who pass these tests are the ones I want to be the parents of my puppy. Health tests are not the only thing I want though, I expect my puppy’s parents to have titles that show their owner did something with them. Just because two dogs are health tested and look good doesn’t mean they should be bred. I want my puppy’s parents to have titles for hunt tests (Junior Hunter, Senior Hunter, Master Hunter) and/or field tests (Working Certificate, Working Certificate Excellent) if they are from working/field lines. If they are from show lines I expect at least a CH (conformation champion) but preferably a GCH (conformation grand champion). Those are the bare minimum titles they should have. I also would like to see Canine Good Citizenship titles and Dock Diving / Dock Jumping titles since I want to participate in DD / DJ. So how am I using Github to plan this, obviously there is no code involved in getting a puppy. I can’t just require a ruby gem and go Puppy.find_by_breed('golden retriever') to get one, there is actually a lot of planning and research involved. I’m using a repo to keep a journal of the process, it’s just simple Markdown files so I can document the process, any issues I’m having, and basically anything related to finding a breeder. I am using the kanban project boards to track breeder requirements, future plans for things I want to do or accomplish with my puppy, and items I need to purchase for the puppy. I’m using the issues feature to work on fixing problems that need to be solved prior to bringing a puppy home, like the fact that I need to fence in my backyard and find a good training club for classes. Github probably didn’t expect anyone to use these features in this way, but I’ve found them to be really helpful. I need to delete all of the issue labels and create new ones that make sense for this use, but so far everything has worked out and I haven’t needed anything that isn’t available. I do wish I could disable pull requests so that unused tab wasn’t sitting there. If you have suggestions on how to use pull requests for this kind of alternate usage let me know. I hope this has given you some ideas of how to use Github for things that aren’t the norm.